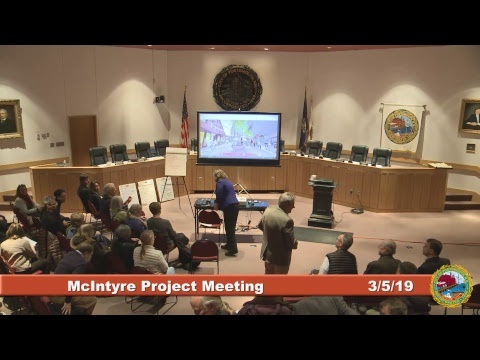 March 5, 2019: City staff and Redgate-Kane held a public meeting that included the presentation of a 3D visual model of the project, followed by breakout sessions. The public can watch the meeting here, and view the 3D model here. In addition, you can view the proposed development in the City's 3D model here. 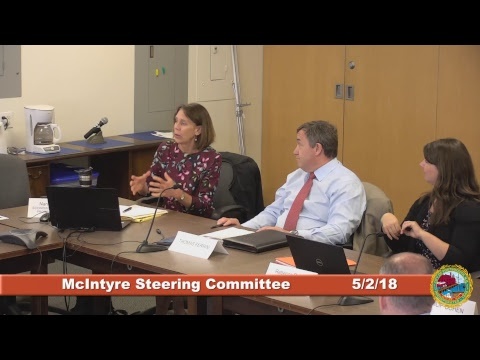 January 7, 2019: City Council held a public hearing on the project. Here is the presentation used in that session. Also: here is the DRAFT Application to the Historic Monument Program as contained in the Council packet of 1/7/19. December 20, 2018: The project went before the Planning Board for for Preliminary Conceptual Consultation. December 17, 2018: City Council heard a presentation on the Financial Plan component of the application (details here). November 19, 2019: City Council began the review of the application process and the final design of the project (details here); this review will continue through January. A draft of the Preservation Plan component of the application is available here. The presentation made to City Council, outlining conceptual design changes since May, is available here. It is also available for viewing on the City's You Tube channel. 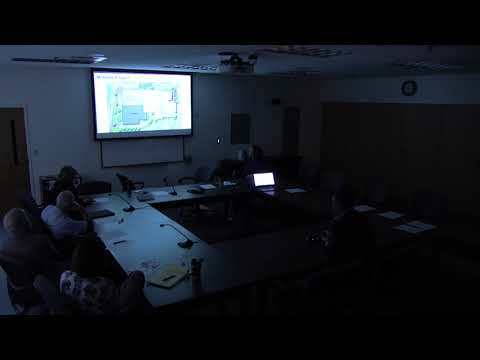 The Public Process Steering Committee reviewed a project update on October 11th. Here is the presentation from that session. Why is the McIntyre Building now available to the City? The GSA’s invitation to the City to submit an application to acquire the property through the Historic Surplus Property Program is the culmination of the City’s efforts which began in 2004. Can the City buy the building and then demolish it? The property is being transferred out of federal ownership by General Services Administration under the Historic Monument/Historic Surplus Property Program specifically because the building is now listed in the National Register of Historic Places so the idea that the building being transferred would be demolished is completely contrary to the transfer mechanism. 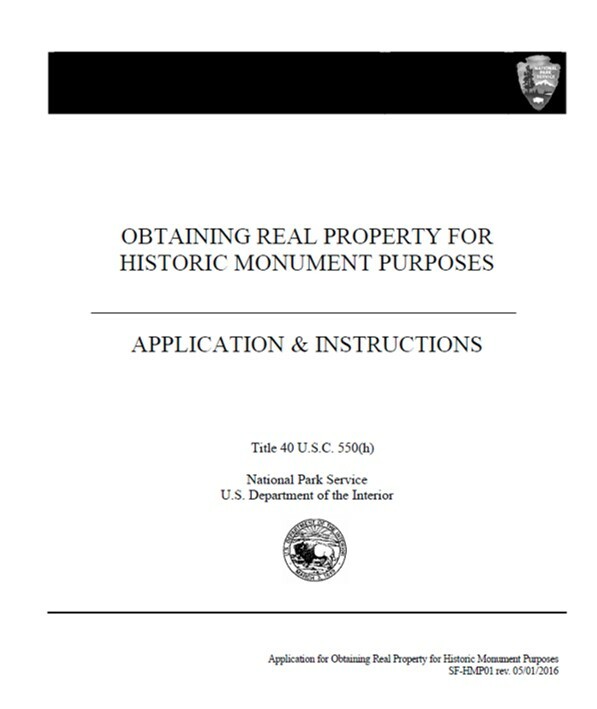 Even if this particular mechanism was not used, any transfer of the property out of federal ownership (including to private entities) is subject to review under Section 106 of the National Historic Preservation Act, which "requires federal agencies to take into account the effects of their undertakings on historic properties." Moving a property out of federal ownership is an undertaking by General Services Administration. The GSA has indicated that any transfer of the property will take place with a preservation covenant attached to the deed. If the property is transferred through the Historic Surplus Property Program, the work on the historic property must meet the Secretary of the Interior's "Standards for Rehabilitation." These ten standards (established in 1977) written by the National Park Service and have a long history of use and interpretation. Since the word "Rehabilitation" is defined as "the process of returning a property to a state of utility, through repair or alteration, which makes possible an efficient contemporary use while preserving those portions and features of the property which are significant to its historic, architectural, and cultural values," wholesale demolition of the buildings on the property to be rehabilitated is not one of the Standards. Can a developer buy the building and then demolish it? No. See the discussion of Section 106 review in regards of why the City cannot demolish also. What is the main reason the City would want to own the property vs. having the GSA sell to a private developer? Because the assessed valuation of the property is estimated at near $10 million. The City would not only be able to acquire at no cost the equity in the property, but also control and manage how the property is used, preserved, and maintained. This signifies a unique opportunity to transform a downtown property into a multi-faceted community space based on what was advocated for by our citizens, rather than a dominant private development. Additionally, the City would also benefit from any lease payments and/or excess income that may be used to support historic preservation, recreation, or open space projects throughout the City. Why can’t the City sell the property to a developer? If the City leases the land to a developer, will it remain tax-exempt? Don’t we want to collect tax revenue from it? Federal regulation prevents re-sale to a private entity. Should the City forgo the opportunity to own the property, the GSA may sell it to a private entity. If the City enters into a ground lease with a private partner, the lease must, by law (RSA 72:23 I (b)), require payment of property taxes on the leasehold interest. In addition, the Historic Surplus Property program requires that any income a developer receives from revenue-producing activities on the site be limited to operating expenses, maintenance reserves, and a “reasonable profit,” with any excess income transferred to the City for historic preservation, open space, and/or recreational purposes. The City sponsored a lengthy, three-phased public input process in Spring 2018 to determine how best to take advantage of this opportunity within the known constraints of the program regulations. From this, an essential framework of initiatives was created and designs were drafted and then reviewed by various City committees. The City Council must decide to submit an application to the Historic Monument program. The National Park Service (NPS) reviews the application and, ultimately, makes a formal recommendation to the GSA. The application has 3 fundamental elements: a preservation plan, a use plan, and a financial plan. Council may also choose to enter into a Development Agreement with a selected private partner at the time of application to the program, to outline the terms of the partnership. The GSA then makes a final decision as to whether to proceed with the transfer, and prepares the deed. Once the transfer is made, the NPS is responsible for monitoring the property to ensure its use is in accordance with the program regulations. Will the Post Office stay in its current location? During this process, the City has desired for the Post Office to remain as tenants at this property, and both the Post Office and residents have voiced that preference as well. Therefore, space for USPS has been included in the designs for this new project. Given the hazardous materials that exist in this building, it is necessary to have USPS temporarily leave the site during construction so both workers and visitors of that space avoid unsafe conditions. In addition to the safety issues, the costs associated with managing an active post office at that location during remediation and construction are considerable. 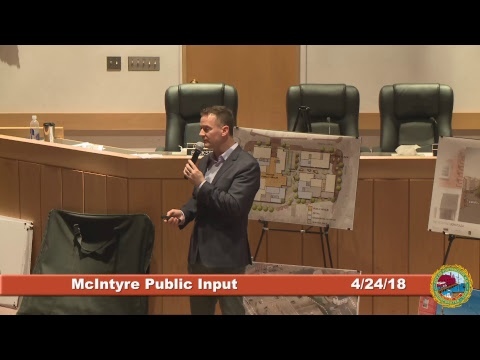 Currently, USPS has not committed to operating in an interim location during construction and may no longer uphold their tenancy at the McIntyre location. If USPS no longer exists at the new building, the same space remains included in design plans for an alternate shipping service such as UPS or FedEx. Why is the building “historic?” Is it only because it is over 50 years old? Built in 1967, the building “turned 50” this year. However, being 50 alone does not determine whether the building should be considered as part of the National Register of Historic Places. 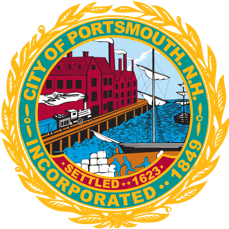 As part of the mitigation for the Memorial Bridge replacement project, the State commissioned a survey of Portsmouth’s downtown historic properties, and the study resulted in a nomination of over 1,200 properties to the National Register. The McInytre was one of those 1,200, and based upon its architectural contribution to the district. I heard the City was supposed to be given the property for $1 years ago. What has taken so long? The City and its Congressional delegation have made diligent and intensive efforts to obtain the property over the past 13+ years – during that time, the federal land acquisition process, and changes in building design requirements, tenant needs/project scope, and funding availability all impacted the schedule. In 2003, the GSA proposed a major renovation of the building, and the Historic District Commission held a work session to review the plans. At that time, the HDC noted its strong preference for the GSA to relocate to Pease in order to facilitate demolition of the building and transfer of the property to the City. Passed by Congress in 2004, Public Law 108-199 Section 408 reallocated funding from the renovation towards relocation to Pease, and addressed conveyance of the downtown property to the City. November, 2006 – GSA acquires 11.57 acres at 234 Corporate Drive. January, 2009 – City receives status report that indicates a reduction in the scope and funding of the construction at Pease. August, 2010 – GSA indicates the project is delayed due to redesign and need for additional federal authorizations. September, 2012 – GSA explains additional delay due to new federal regulations pertaining to construction of federal buildings (post-9/11/11). April, 2013 – Funding for relocation is removed from federal budget. By summer 2016 the GSA made a determination that their space needs had changed dramatically since they first considered construction of a new building. In fall of 2016, the GSA began to search for leasable space for its remaining tenants, and began its disposal process for the McIntyre property. The proposed project has been forwarded by the City Council to the Historic District Commission for its review. 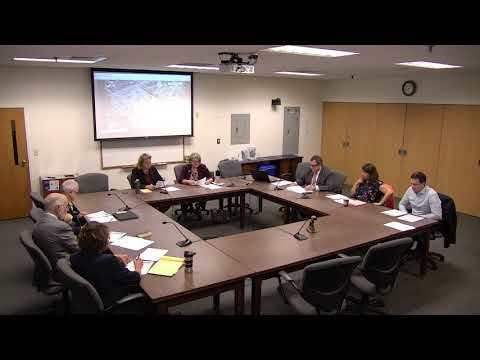 On May 22nd, the HDC held a work session - materials presented at that meeting are available here. In addition, an electronic 3D model of the proposal was made available. The HDC reviewed a revised design in work session on September 12th prior to the recent Steering Committee and City Council meetings.